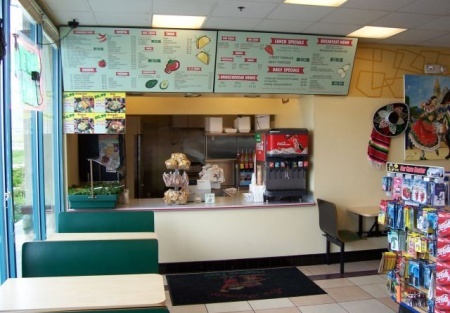 This mexican restaurant is located in a high traffic area on the corner of a very busy intersection. The business is inside a new gas station, which brings in a ton of foot traffic! It is surrounded by a beautiful shopping center. This location is ideal for an owner operator. All equipment is in great working order. Monthly Rent is $2,450. A great opportunity for only $80,000! !